As a collection of ideas and methodologies, systems thinking has made an impact in organizations and in particular in the information systems field. However, this main emphasis on organizations limits the scope of systems thinking and practice. There is a need first to use systems thinking in addressing societal problems, and second to enable people involved in developing the information society to reflect on the impacts of systems and technologies in society as a whole. 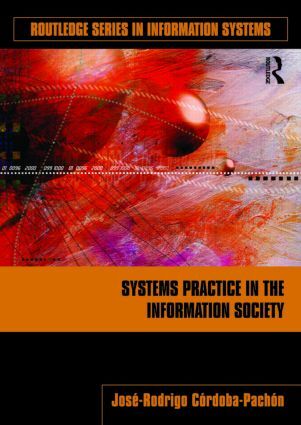 Thus, there are opportunities to review the scope and potential of systems thinking and practice to deal with information society-related issues. Systems Practice in the Information Society provides students of information systems as well as practicing Inofrmation Systems managers with concepts and strategies to enable them to understand and use systems thinking methodologies and address challenges posed by the development of information-based societies. This book brings experiences, ideas, and applications of systemic thinking in designing and evaluating socio-technological initiatives. Using a number of cultural contexts, this book explores how organizations, including governments, can enable better access to information and communication technologies and improve the quality of life of individuals.